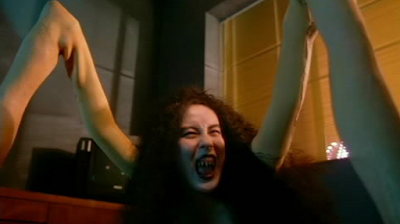 It's been sad to see my beloved Universal Monsters flail impotently in recent years. The Wolfman, a proper monster movie, was shafted at the box office but more infuriating is the studio's many recent attempts to fuse classic horror with the superhero genre in an attempt to cash in on some Marvel money. Both Dracula Untold and The Mummy both suffered from the mix not being right. Like stirring together too many posters paints they ended up a largely colourless blob. This is all very strange considering Universal Monster aesthetic has been expertly fused with the superhero movie before. 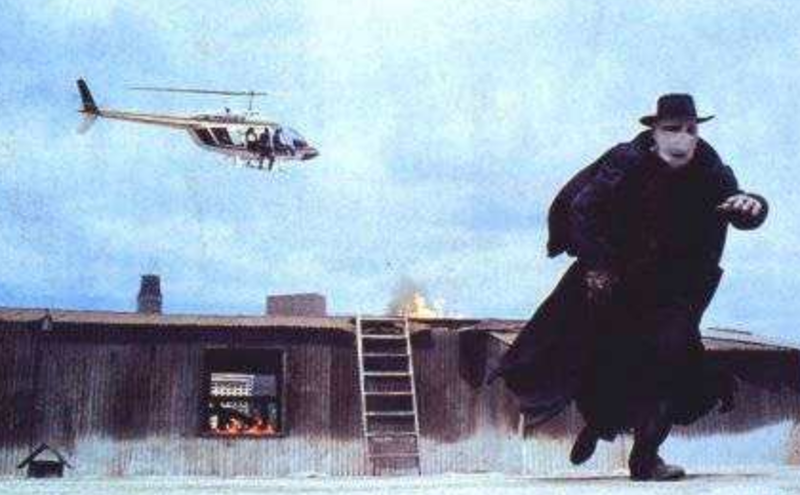 Darkman is, I think, pretty well known yet not often talked about. Often seen, possibly dismissed, as Raimi's hokey Spider-Man run through the movie is a perfect blend of monster movie iconography and super-swashbuckling. On the verge of discovering a synthetic skin formula, Dr Peyton Westlake gets mixed up in gangland real-estate war and is horribly burnt beyond any recognition. Thought dead and too hideous to re-join society Westlake retreats to the shadows, using his formula (which in its incomplete form is sensitive to sunlight) to masquerade as members of the gang in order to get revenge. A very game Liam Neeson plays the tortured creature to perfection, signing onto the absurdity totally and managing to generate thrills, laughs and pangs of sorrow. With a supporting cast of Francis McDormand and Larry Drake the movie zips from maniacal plans from Dr Phibes, rafter swinging from The Phantom of the Opera and rooftop daring-do right out of Batman. Raimi juggles all of these disparate tones and, as usual, makes it look effortless. His love of The Shadow (a super-hero project he longed to get into production) in addition to his willingness to bring in old-school effects such as stop-motion and back-projection, plus his penchant for slapstick, is key to fusing all these elements together. It's great fun and an approach that Universal should really be studying. 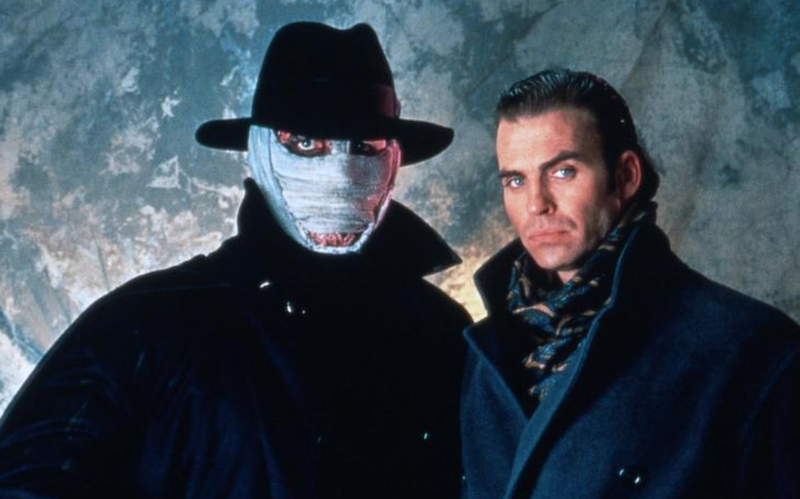 Less well-known is that Darkman spawned two straight to video sequels. The budget is stripped a little, Neeson has been replaced by Arnold Vosloo and, in the case of this middle-child, the quality has gone. Robert G. Durant, Larry Drake's mob-boss from the first movie, is back and looking to flood the illegal arms market with experimental laser weapons. Darkman is having none of it. Vosloo is fine but never quite animates himself in the way that Neeson did. Drake is great as usual but the film suffers from a couple of major issues. Firstly; it is boring as hell. The plot plods along with very little incident. An opening car chase is fine and the finale, a serviceable shoot-out, is ok but between these set-pieces is a real absence of anything exciting or fun. Yes, the straight to video budget would have had a massive impact on what they could or could not have achieved but that is no excuse for its second major flaw; it looks weak as hell. All the horror iconography is gone. There is no atmosphere, no colour, no tension. Darkman stills looks the same, which is good, but he is never framed in a way that gives the film its monster-movie frisson. This is a weak movie and one for completists only. The third outing never reaches the thrill of the first but it does show that everyone involved learned their lessons from the previous movie. With Durant now dead a new mob-boss, played by Jeff Fahey, is taking control. His plan: to harvest Darkman's DNA to make an army of super-soldiers. 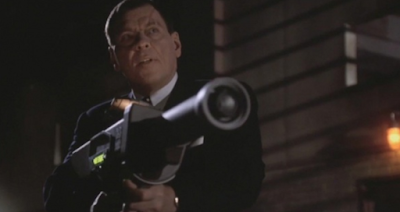 You may think Fahey is a trade down from Larry Drake in the villain department but oh-no Fahey is on fire in this. There is also some reds and greens in the mix adding a touch (just) of Argento into the proceedings. The action is a massive step up as well. A gauntlet of explosions is an exciting little set-piece while the finale, though not massively bigger than the last movie's, is considerably better executed. May favourite scene, however, is when Darkman actually finds his masquerading backfire on him as he is forced to navigate a huge family birthday party, complete with piano recital. It's a moment of humour and tension that even Raimi didn't wring from the rubber-mask conceit. Lets not overlook how awesome a title this movie has nor the fact it has perhaps the greatest pronunciation of the word "balls" ever committed to film. Despite the weak middle movie this trilogy has a great opener and a threequel that shows there is value in repeat outings for this character. 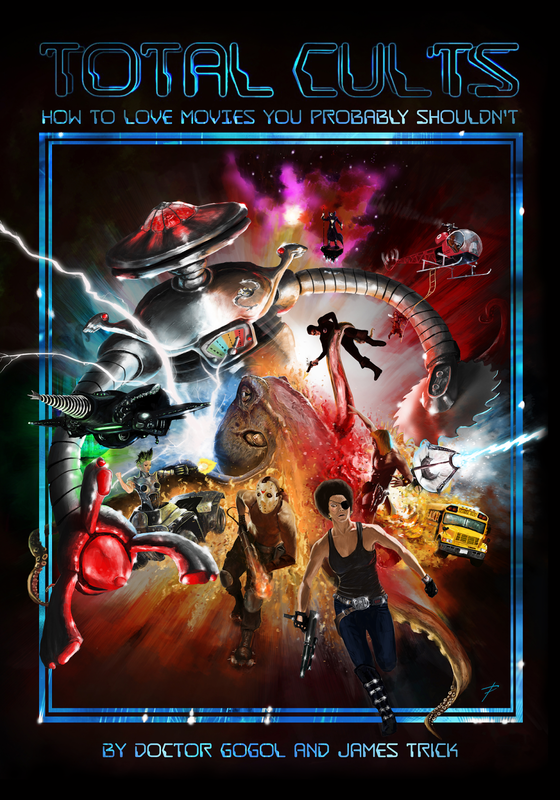 Mostly it proves you can mix the super-hero and gothic horror genres to great effect. Something Universal studios is in great need of schooling in.